Buying a car that has been officially written-off could cost you heaps, but a few minutes spent checking the Written-Off Vehicle Register (WOVR) could save you a lot of heartache and lots of your hard-earned cash. A vehicle is declared a write-off when it is so badly damaged that it's not safe or economical to repair. The registration is then cancelled and its demise is recorded on the WOVR. The Written-Off Vehicle Register is a national initiative to put an end to the dodgy practice of rebirthing where a badly damaged vehicle is bought for the purpose of using its identification to give stolen cars a new identity. What is the Written-Off Vehicle Register? While the WOVR is a national initiative each state has fallen into line with legislation of their own that requires businesses such as insurance companies, auctions, dealers, wreckers and recyclers that assess, buy, sell or repair written-off vehicles to notify the appropriate state, government authority when they write-off a vehicle. The information they supply is then recorded on the WOVR, which can be accessed by anyone contemplating buying a used car. The register only applies to cars, motorcycles, trailers and caravans up to 15 years old, vehicles older than that are not included. Vehicles that have been written-off are split into two categories: Statutory write-offs and Repairable write-offs. What makes a statutory write-off? A car is considered a total write-off and declared a statutory write-off if it is deemed to have suffered significant structural damage such that it cannot be repaired to a sufficiently safe condition to be returned to the road, or that it has been damaged in a fire or flood, or has been stripped. 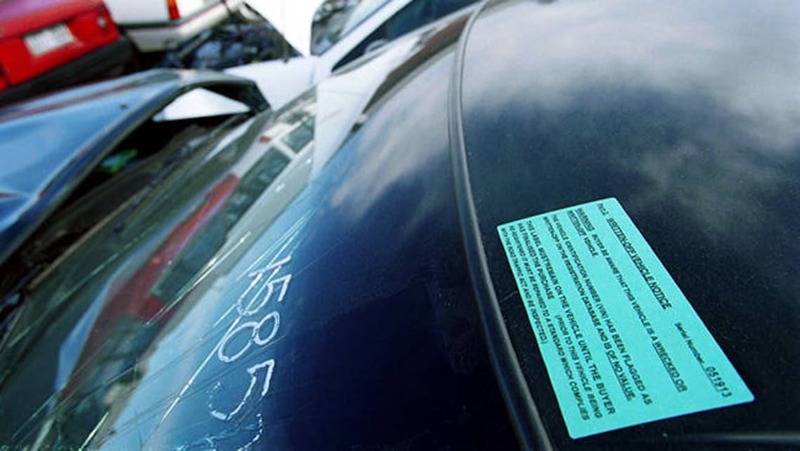 Once a car has been registered as a statutory write-off it can only be used by a wrecker for parts or scrapping by a metal recycler and will be identified as such with a label in a readily visible place; it cannot be repaired and returned to the road. What makes a repairable write-off? A vehicle is deemed a repairable write-off if it has been damaged such that its salvage value plus the cost to repair it exceeds its market value. An older car could be considered a write-off even with relatively minor damage, simply because the cost to repair it is greater than what it's worth on the used car market. But a car deemed a write-off can be repaired and returned to the road providing it has been repaired to the manufacturer's standards, has undergone an inspection by the relevant government inspector, passed a roadworthiness check and had its identity validated. How do I know if a car has been written-off and repaired? 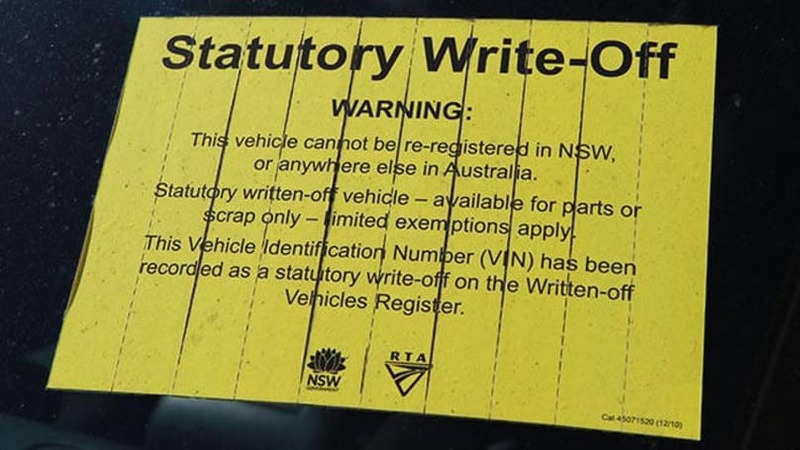 In NSW once a vehicle is approved to be re-registered and declared safe to return to the road a note is added to the vehicle's Certificate of Registration that it has been written-off. In other states it is necessary to contact the registration authorities to check on a car's status. Why is it important that I know if a car has been written off? With the national write-off register in force you can be confident that you are not buying a car that has been declared a statutory write-off. But you don't know if it has been put back on the road after being declared a repairable write-off. While the vehicle has to be repaired to an accepted standard and checked by a state authority the very fact that it has been written-off can have a huge affect on its value. It's logical that a car with a history of being written-off is not going to be easily sold if it is known that it has been a write-off. The value of a car that has been written-off, even if it has been properly and professionally repaired and passed all the tests to say that it is safe to return to the road will not be as high as car that has been lovingly maintained all its life and is in pristine condition. With so much at stake it's important that you go to the trouble to check the written-off vehicle register to assure yourself that you are not buying a pup that you're paying too much for, or will find hard to sell later on.